Klay Thompson got the best of James Harden during the NBA Playoffs when his Golden State Warriors defeated the Houston Rockets in the 2015 Western Conference Finals. 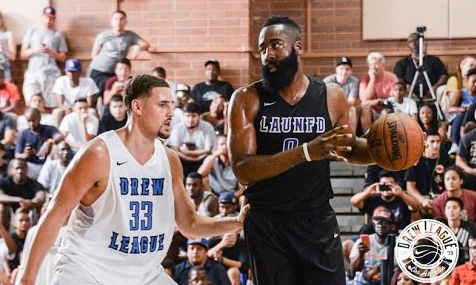 During the Drew League playoffs, it was Harden who flipped the script. The Beard led his squad to a win, tallying a near triple-double with 15 points, nine rebounds and nine assists.